Most Nonprofits Struggle With Growth. Here Are Nonprofit Resources that will Guide You Through a Proven Framework So That You Can Increase Donors, Members, and Volunteers. Welcome to our resource section, a curated list of resources that has taken us over 15 years to build that will show you how to communicate, collaborate, fundraise, and accomplish your nonprofit organization's mission. 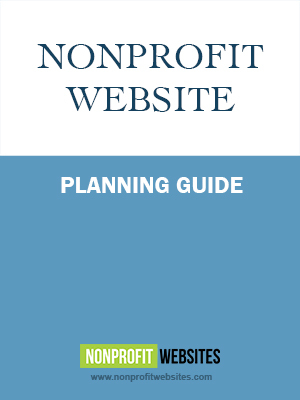 The Nonprofit Website Planning Guide is a proven, step-by-step process that shows you exactly how to plan an effective nonprofit website in process detail. It shows you exactly what to do every step of the way, from how to structure your organization's homepage to how to create a donation system that actually raises money. We give you direct and immediate access to a downloadable PDF file as well as several videos that provide the face-to-face consulting we love to give our clients. Everything is in one place and the FORMULA that nonprofits around the world have successfully used over and over is just a click away. Would You Like To Discover How to Make Maintenance of Your Nonprofit Website Simple, Yet Effective Enough To Increase Donors, Volunteers, and Members? 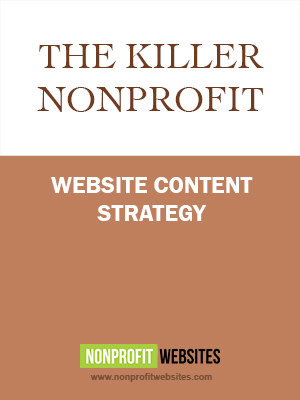 The Killer Nonprofit Website Content Strategy provides you with cut-to-the-chase insights into how to maximize your time, decide what content needs to be updated and when, and really see the impact your web presence can have. We've used this content strategy for our VIP clients for years and have documented the process for any nonprofit executive director, marketing director, or webmaster to follow. Get direct and immediate access to a downloadable PDF file as well as several videos that provide the face-to-face consulting we love to give our clients. Everything is in one place and the FORMULA that nonprofits around the world have successfully used over and over is just a click away. Want Access to the Most Effective Guide to Marketing Your Nonprofit Website On the Web That Has Helped THOUSANDS of Nonprofits Just Like Yours? 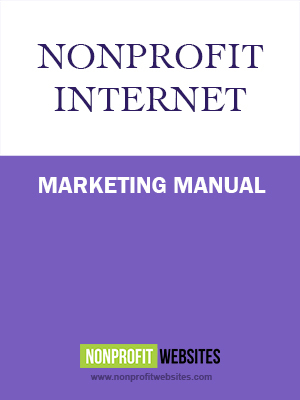 In the Nonprofit Internet Marketing Manual, founder Jose Gomez takes over two decades of industry experience and zooms in on exactly what attracts donors, members, constituents, and volunteers to your organization. Generate leads and get your important message out to the world using proven online marketing methods that help you raise money, communicate clearly, recruit volunteers and team members, build your brand, and establish a reputation in your community.